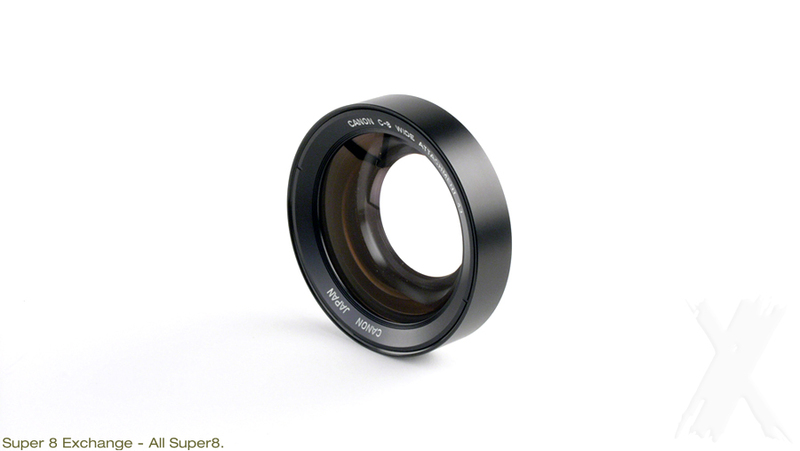 Special attachment lens (spectra coating) for the Canon 514XL-S, 312XL-S, 310 XL and 514 XL movie cameras for super wide-angle cinematography. When the camera is set to wide-angle macro filming and this lens is used, the focal lenght is fixed at about 5mm. Because of this short focal lenght, the depth of field is so deep that, in good lighting conditions, there is no need for focus adjustment between the closest filming distance and infinity. As a result, you have the means to create many new and exciting effects in your movies. Screw-in mount type, 43 mm thread. Comes with pictured accessories (cameras are not included).